After Nearly 2 days of waiting in the “No-Diesel” line, I finally got the chance to come to Janakpur. Life was hard in Kathmandu: overly crowded public vehicles, frustrating petrol pump wait and the horrors of a future where your cooking gas supply suddenly goes whoosh! But I only came to realize that it was nothing compared to what people face in Terai. Today marks the 55th day of the Terai Protests. People are scared of the angry protesters as well as the police. 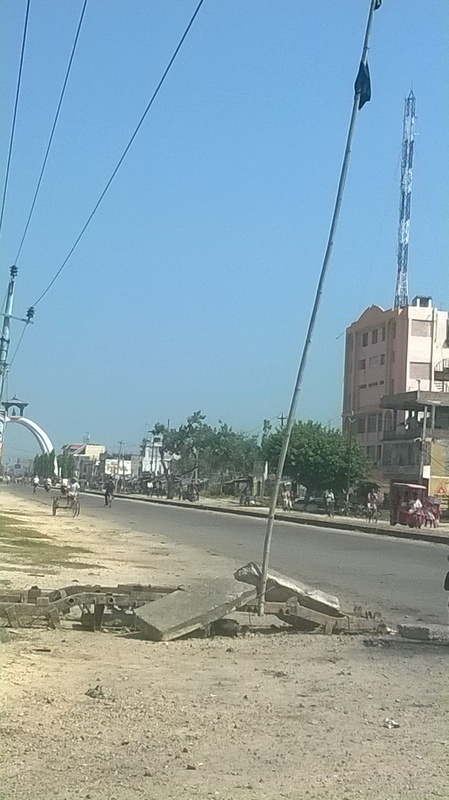 Most of the city of Janakpur looks like a war zone and the deserted streets confirm the fact that people here suffer. While we hear remarks like “we will bring oil and stuff via airplanes”; Kathmandu has a hope and does stand a chance but we are not thinking about the rest of the country. There is a general misconception among the people that India is aiding the protests and people don’t suffer at all . But that is as far from the truth as it can be. “Madhesi pay ridiculous amounts of money for maintaining a decent living; Madhesi don’t even have a hope for petrol as stations remain closed; Madhesi don’t have money while banks remain closed, but Kathmandu is only concerned about how things work out in the valley” says local Biswas Mishra. “Prachanda ji will cycle to the offices and that’s brave of him, but what about people outside the valley? Don’t they consider us Nepali citizens?” asks retired banker Gyanendra pratap Karna. He also said “The focus has been diverted from Madhes and that is only going to make situation worse”. As I reached Bardibas, the bus driver informed us that he could take us no further because a group of protesters were stationed at Dhalkebar. Outside many motorcyclists offered us a ride if we agreed to pay them 1000 rupees per person. I denied. While waiting, we met a generous person with an electronic rickshaw who offered us a ride home for 200 rupees as he himself was headed the same way. As we crossed Dhalkebar, the scenery began to change; roads appeared black; pillars dismantled; trees used to block way for trucks and buses. We were stopped at altogether 11 different places within the 30 Kilometer Dhalkebar-Janakpur road by Madhesi protestors. We were threatened too “aago laidim rikshaw ma ? samaan faaldim iniharuko” while I explained our situation. They listened and let us go. Every group said the same thing “If you want to travel freely, please ask the government to address Madhesi” and “We do not like doing this, we have a family too but the government kills 100 people and yet gets busy in the formation of the government rather than sorting our issues out”. The frustration was clear, yet the determination was appealing. On my way, I also saw the place where the deceased from Janakpur were cremated. The place is called Mujeliya just outside the border of Janakpur. 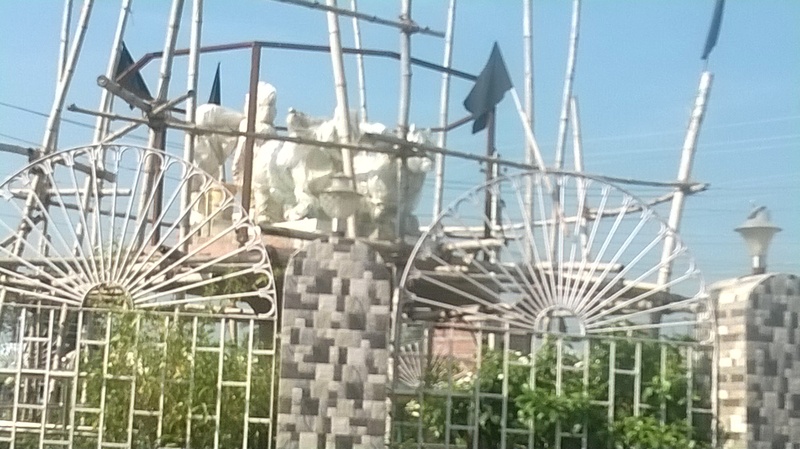 I was surprised when I saw our National flag on the cremation site alongside the Madhesi Morcha flag because I had not expected that. It made me proud. I reached home to find even more frustration. It is inexplicably hard to sustain normal lives in Janakpur. Offices remain closed, market too. People are fed up and tired . Bindeswar sharma said “Madhesh K kahiyo kuchho na miltai, aa pahadi janta seho e he chorba sab k support ka dai hai ta sarkar k furki chaidh jai hai” (Madhesis will never get anything, also the Pahadi people always support the government and hence the government becomes more cruel). What’s right and what’s wrong is debatable but the sufferings of Madhes are real and wrong. While Kathmandu looks for fuel alternatives, Nepal cries. Let’s hope Kathmandu listens soon. ← They just don’t get it..